... and I had put a link to their website in the opening post to this thread. Therein lies the problem of taking so long to download and format one's pics - you forget, sometimes, when and where they were taken. Oy! Yes, it was Chemainus - we went for a drive at the beginning of the year, down to Ladysmith, and decided to drive further on, and discovered this quaint little village. 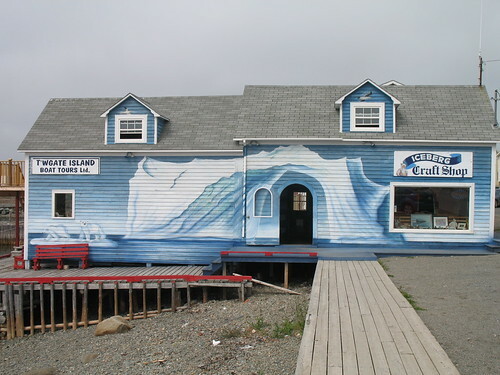 There sure are a lot of things to see and do here on the island. 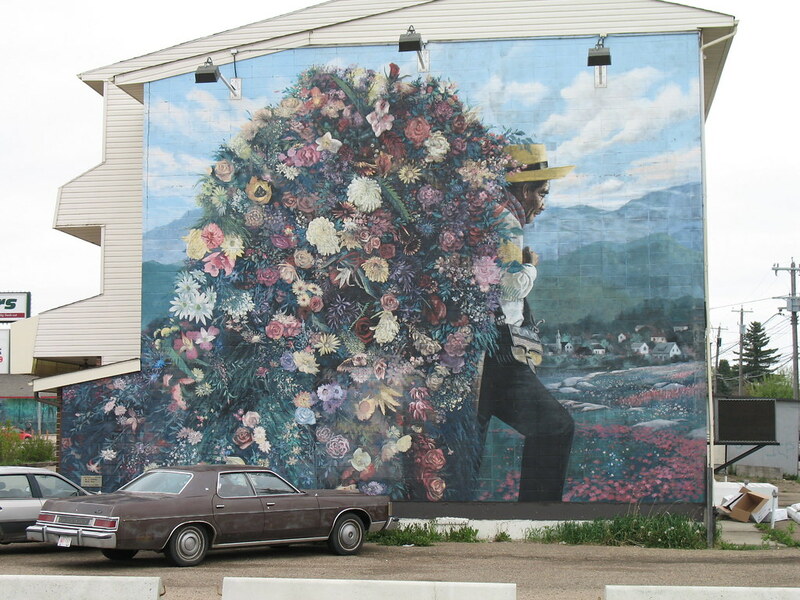 We saw this mural in downtown Nanaimo. The old destroyer HMCS 'Saskatchewan was sunk near Nanaimo in 1997 to create an artificial reef, for sea life and divers. This was apparently the 5th naval ship sunk in BC waters. A merchant ship 'Cape Breton' was sunk nearby in 2001 to enlarge the reef, and a third is planned. 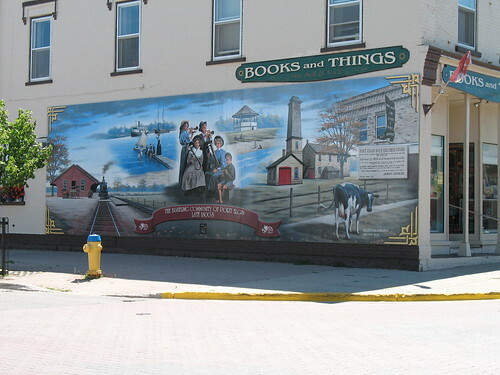 As Charles have noticed so astutely elsewhere, I took LOTS of photographs of murals on our 2006 Ontario/USA tour. While catching up on my Journal about that tour, I came across the first of these murals. 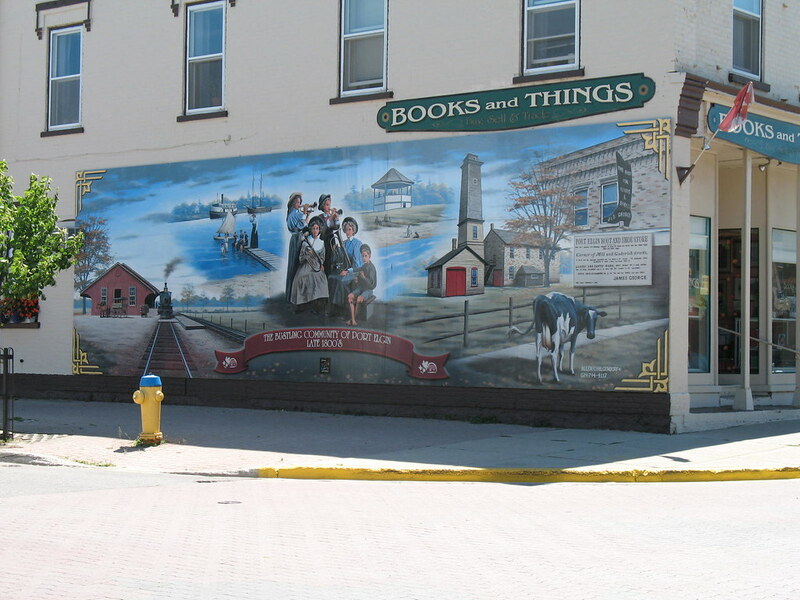 This one depicts the community in the late 1800's. We paid Edmonton a visit two weekends ago for a baseball tournament with our son Heinrich. Since he knows I am always on the lookout for a mural it was not surprising when he yelled for me to stop, and pointed these out to me. Slightly neglected, and in disrepair, but beautiful nonetheless! During our tour of the Maritimes last summer (2008), we visited one of the northern most towns in Newfoundland, Twillingate. I found this interesting mural on the side of a little art shop. 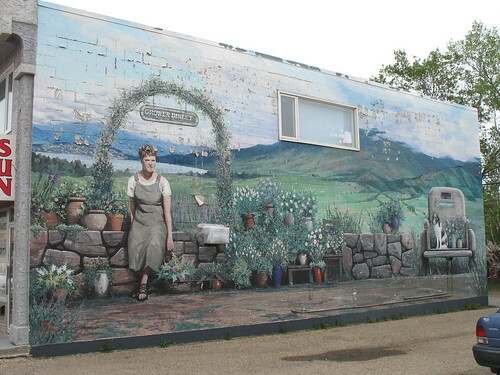 Its a little French town and it is famous for its murals. 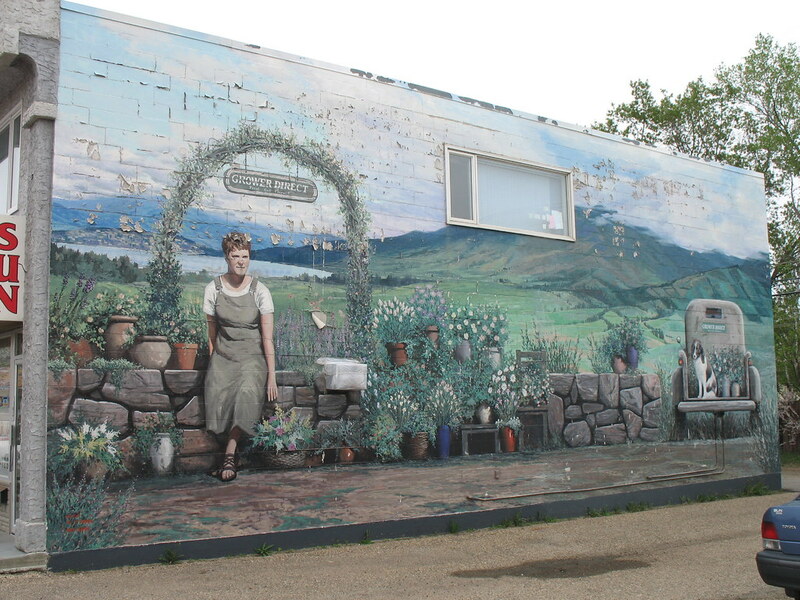 We have done quite a number of road trips across Canada in the 14 years that we have been here, and I always stop for murals! This one was taken in 2008 during our "Maritimes" road trip. 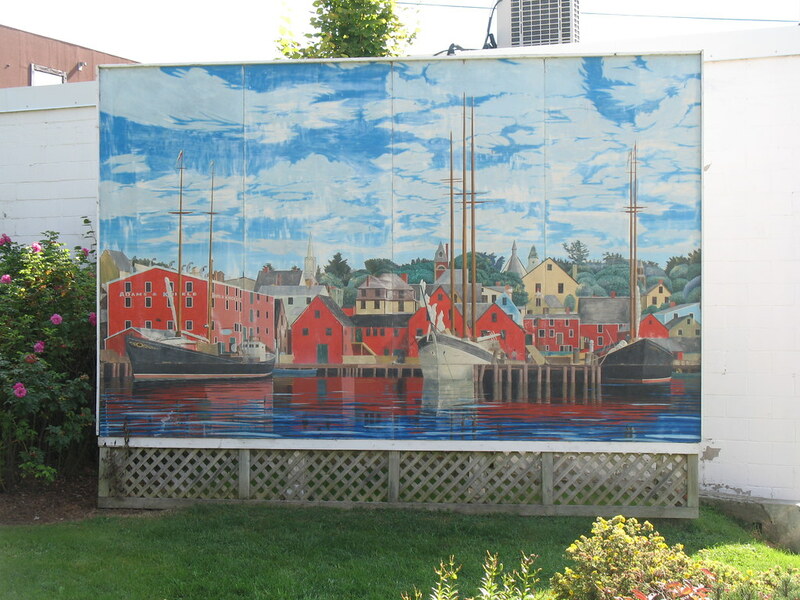 Lunenburg is on the south coast of Nova Scotia, a predominantly German community, and a beautiful harbour.